For those girls who like to have luxurious items but don’t want to exceed a certain limit, this list is for you! So here are the top five #MEFPicks to up your wardrobe. 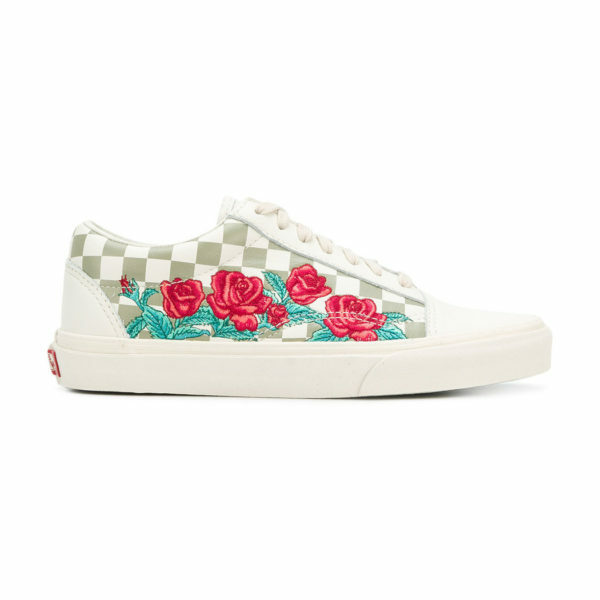 First on the list are these beautiful embroidered Vans. These beauties retail for $100 flat. Although these are considered pricy because normally VANS retail for $55 or $65, these are a must have because I am willing to bet anyone you won’t see someone with these shoes on when you’re wearing them. Although Vans are normally casual, I feel like these vans can spice up any outfit you’re wearing. Although spring is known for floral; stripes and plaid is the new floral! These gorgeous shorts are made to make your waist look smaller than what it is. 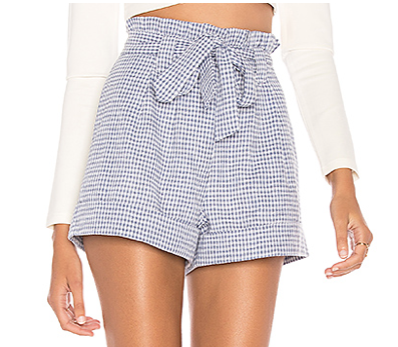 Retailing for $70, these shorts are a must for this spring/summer season. In the photo on the website, it’s paired with an ivory crop knitted crop top but one can pair this with a white or ivory bodysuit. This Max Studio design is currently on sale for $30 while the original price was $78 on Saksofffifth.com. This website is the discounted store to Saks Fifth Avenue. I really love this top because it’s blue. I love wearing black and other basics; however for some odd reason I feel blue is a new neutral. But one thing I like about this top is you can dress this top up or down if you chose. This black and white stripe dress can be found on ASOS for $88. This dress is perfect for spring, you can add a pop of color to this outfit and make it spring chic. Due to the vertical black and white lines, this dress will make one appear slimmer. Just like any dress you can dress this dress up or dress it down, and one thing I really like about this piece is that it’s timeless. I feel like you can keep this dress in your closet forever. You can wear this dress today and you can wear it in 2025 if you want. 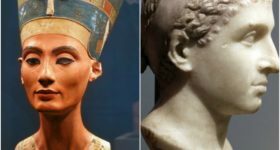 Some pieces are timeless and this piece is definitely timeless. Lastly, I had to mention a fanny pack. What would this list be without a bag/fanny pack? This Open Ceremony fanny pack is everything. 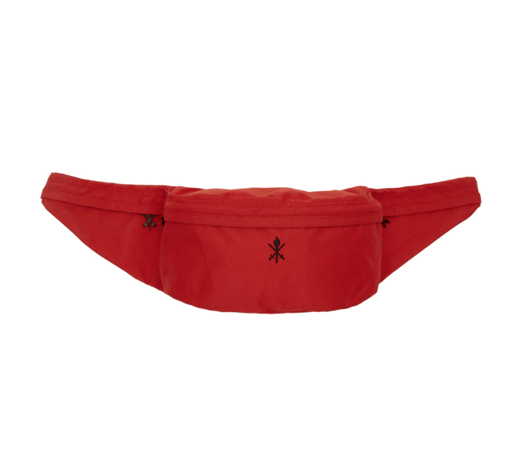 The bright red fanny pack will add just enough pop of color to your out without doing the most. The simplicity of this design will allow one to wear this anytime and anywhere!. This bad boy retails for $95! Which pieces would you be adding to your closet? 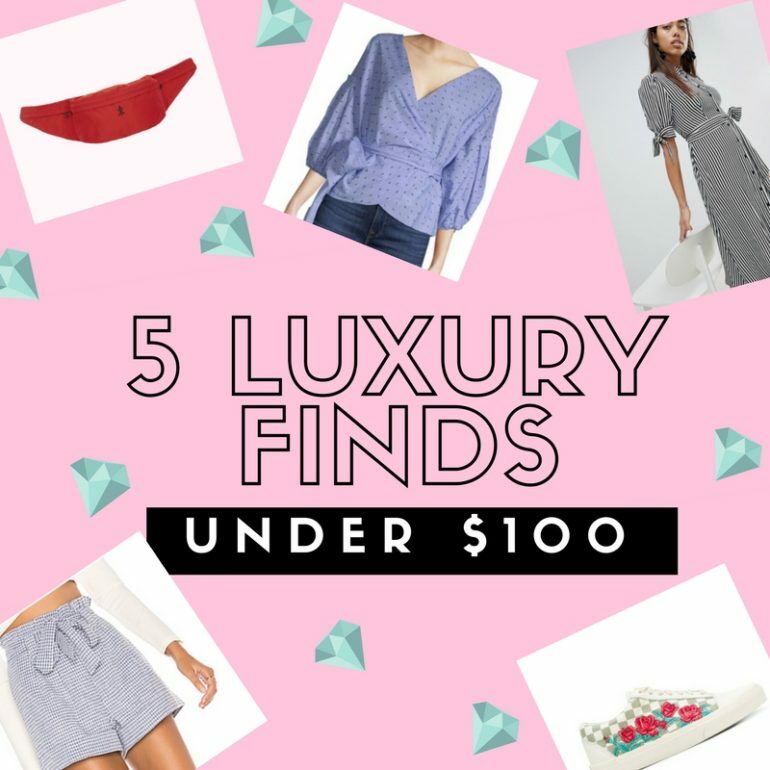 Also if you guys want me to construct a list of 5 Luxury Fashion Finds for the Week Under $50 just let us know on any of our social media accounts! Keep up with everything MEFeater on Pinterest, Instagram, Twitter and Facebook!